We are sure you’ve noticed the big news coming out of Apple – release of the iOS 7. 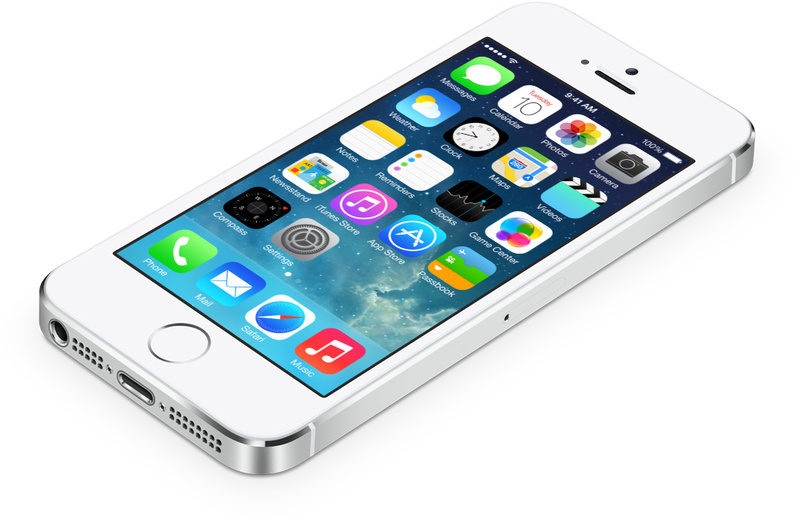 Apple CEO, Tim Cook has declared that “iOS 7 is the biggest change to iOS since the first iPhone was introduced”. And he is not far off, the new iOS 7 has introduced some major interface changes. What does not mean for those of us who make their living designing and developing applications, these changes make older applications look out of date next to the new iOS 7 applications. Well, it’s time to update our most prized applications for them to maintain their standing in the App marketplace. Here at OAK, we are already working with our clients to start developing road-maps for their application updates. For a majority of our clients, it’s an easy transition but for those applications that had a heavy customization we are re-thinking the application flow to leverage some of the new features … three of which (that we are most excited about) we are outlining below. The status bar and navigation bar are now intertwined. This allows use of a custom image or color for the navigation bars; though iOS 7 will need a a custom “taller” image. Also, the Navigation Bar buttons are now border-less. If you update your existing application to iOS 7 the buttons will automatically adapt to the new style. However, you have to be careful to ensure that the buttons are eligible on the custom Navigation Bar background. Skeuomorphism is giving a familiar look and feel to novelties. In iOS 7, Apple has toned down textures and shadows. While some people preferred the older skeuomorphic design as compared to flat look introduced in iOS 7, we at OAK are fans of the new design direction that Apple has taken. We support Apple in its position that an interface’s first priority is to be easy to use, and flat design principles take the complex visual detailing out of the way. Text to speech: Where before any text to speech solution added time, cost and complexity to an application, iOS 7 brings support for text to speech making it easier to implement and scale applications that need that facility. Motion Effects: One of the most exciting features of the new iOS 7 is the ability to create an interface that is aware of the 3D space around it. You can make your interface dynamic by using the device motion detected by the accelerometer, and apply it to any object that can animated. Maps: iOS 7 brings a new APIs for working with 3D maps. Developers can now access 3D builds and gesture within 3D environments. With the new MapKit API you can also adjust camera position within a 3D map and create cinematic camera transitions. Sprite Kit: iOS 7 has a new 2D rendering engine called Sprite Kit which has a full built-in physics engine, full particle system and integration with core image and video for building amazing and interactive applications. iBeacon: With iOS 7, application can now be “location aware” through Bluetooth LE. It also allows you to turn your iPhone/iPad into a location beacon that other iPhone/iPad application users can use to trigger events. This opens interesting and exciting opportunities to build highly interactive applications, like a tour of a museum. Simply put, this allows the users to use in-door navigation similar to GPS in settings such as an airport or underground subway. We have been receiving a lot of questions regarding the new iOS 7 changes from our stakeholders, and we are super pumped about the creative opportunities that this new OS will trigger on our end. If you are looking to update your existing application, or are interested in exploring how an iOS 7 application can translate into a commercial opportunity or into a strategic advantage then please feel free to contact us at team (at) oakcomputing (dot) com, or please send us a message through our contact form. As always, we are happy to get together for a coffee … and the coffee is on us.